Join us for an in-depth look at the 2015 Beneteau Gran Turismo 35. The 2015 Beneteau Gran Turismo 35 puts the "sport" in sport cruiser. Many boats of this nature struggle to get much past 30 MPH, but when we tested the Gran Turismo 35, we discovered that at 30 MPH firewalling the throttle provided an exhilarating jolt of acceleration. 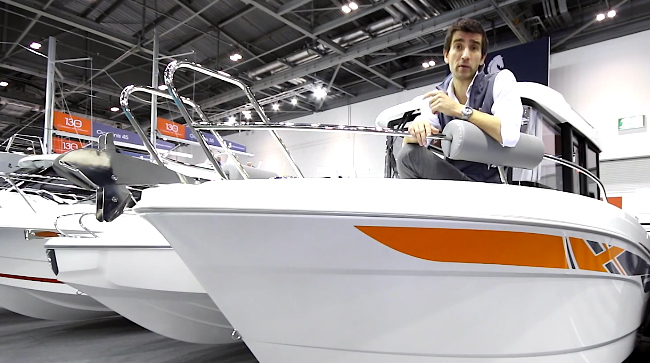 Check out our video boat review, and see it for yourself. 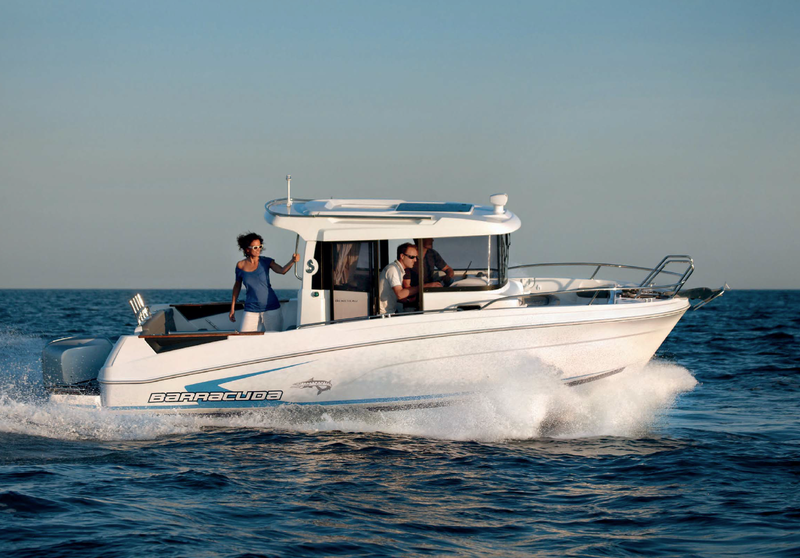 Beyond the extra pep and the efficient way the 35 produces it, there's a lot to like about this boat. 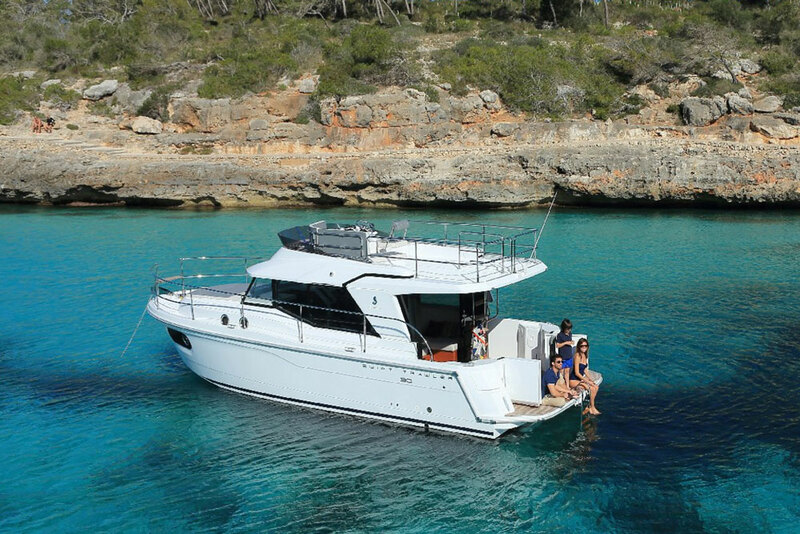 You can learn more about it by reading our full review, Beneteau Gran Turismo 35: Express Yourself. Or, poke through the notes below, which we took during the video boat review. Concept: Offer a sport cruiser that out-performs the competition, yet costs less. -Hand-laid fiberglass hull, teak deck, and weather-resistant PVC fabric. -Hand-holds, grab rails, and railings are very stout – kick them or hang from them, and you won’t notice one iota of movement. -Hinges and fittings used belowdecks are similarly beefy with the exception of the refrigerator. Beneteau says they plan to replace the refrigerator as they weren’t happy with it, either. 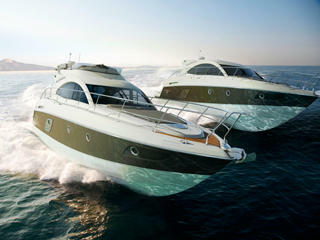 -Beneteau’s Air Step hull design brings air in via hullside scoops, and vents it under the boat to enhance efficiency. -Cruises at 30 MPH and hits 40 at top-end. -The GT 35 attains this performance with only 600 HP, in the form of twin Volvo-Penta 5.7L stern drives. Many competitors use 8.2L engines with another 150 HP to get similar speeds. -Fuel economy at a 30 MPH cruise and above is over one MPG. 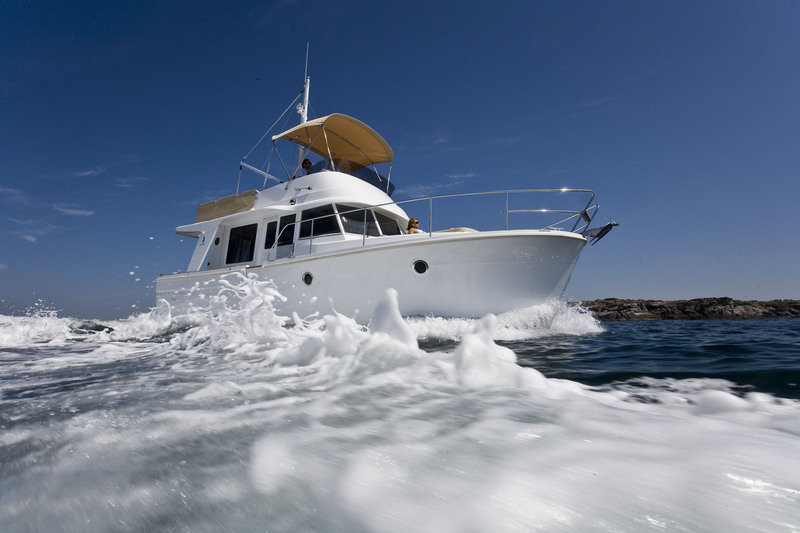 -The boat responds quickly to the wheel, with handling enhanced slightly by the Air Step hull. -Joystick controls are included as a standard feature on this model, so dockside maneuvering is a piece of cake. -There’s a bit more noise than expected in the cabin when underway. -Mid-cabin design is excellent, with standing headroom in the entry. -Mid cabin has a door, instead of the usual curtain, for increased privacy. 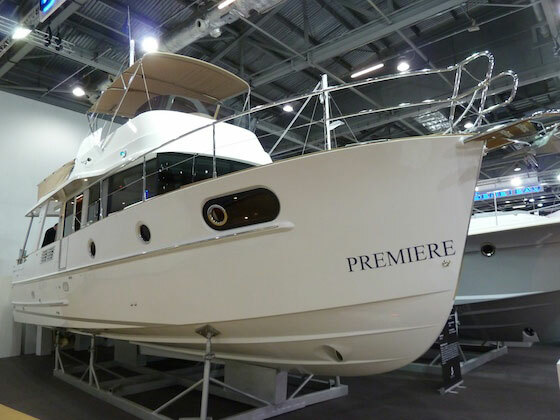 -Multiple overhead and hullside ports provide good natural lighting and air flow. Read our full review: Beneteau Gran Turismo 35: Express Yourself. 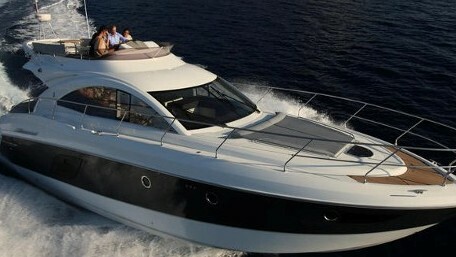 See Beneteau Gran Turismo 35 listings.